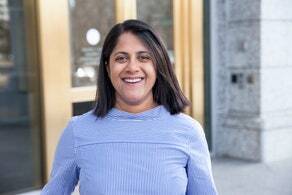 Denver, CO, March 13, 2018 — Democrat Saira Rao (www.SairaForCongress.com) announced today that her campaign won the endorsement of Buie Seawell. Saira Rao (www.SairaForCongress.com) is a Democratic candidate for U.S. Congress in Colorado’s District 1. The daughter of immigrants, Saira is an entrepreneur and social justice activist who built her career around empowering marginalized communities. Her company, In This Together Media, sources and shepherds to publication children’s books featuring brown, black, LGBTQ, poor, disabled, and female protagonists. She and her husband, Shiv, live in Denver with their two children, Lila and Dar, and their dog, Hector.